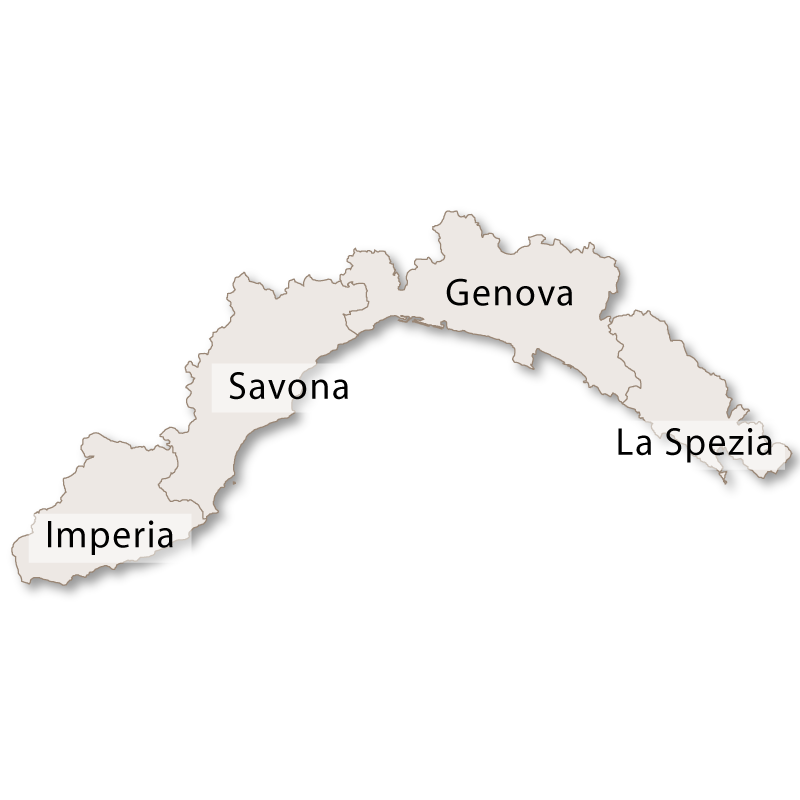 A varied landscape stretching only a short distance between the sea and the land the province of Genova covers an area of just over 1800 sq.km. 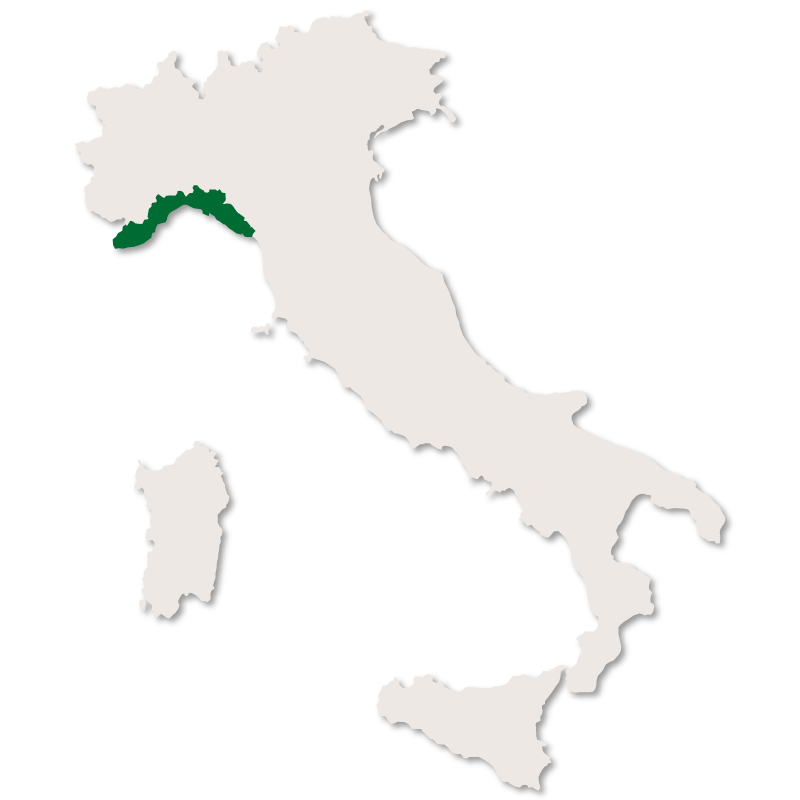 It borders the Ligurian provinces of Savona to the east and La Spezia to the west with the region of Piemonte to the north and the Ligurain sea to the south. 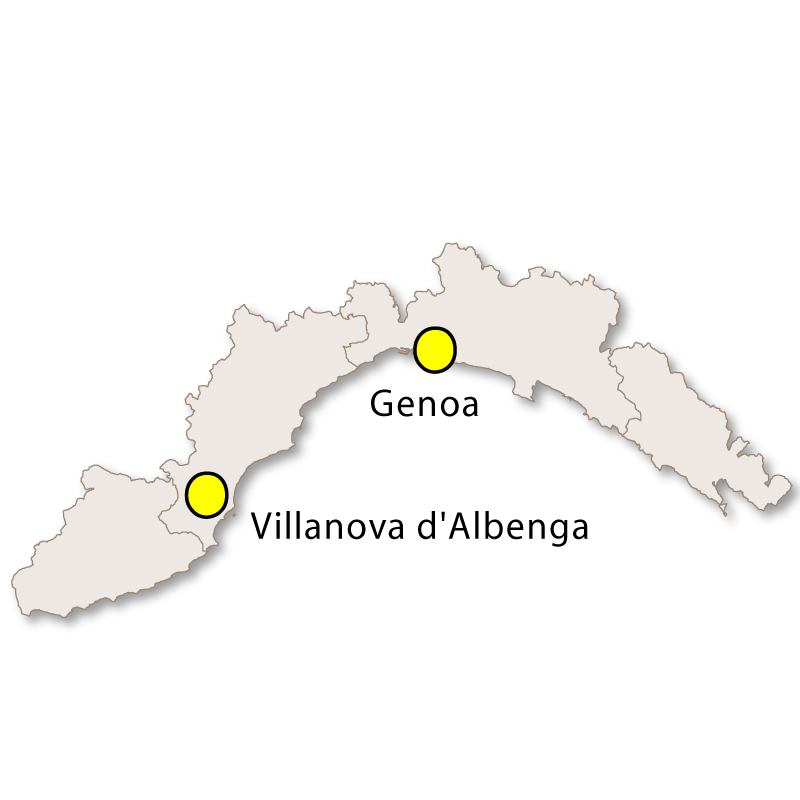 The province of Genoa is the most heavily populated in the region of Liguria. 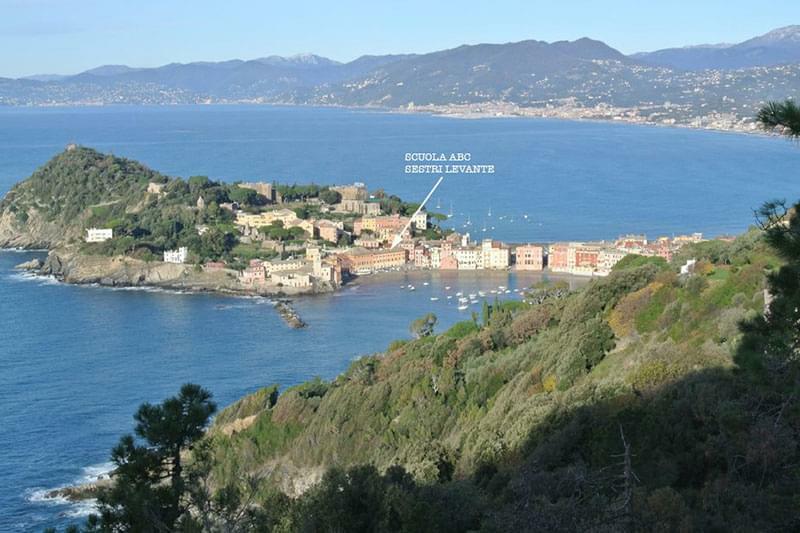 The coastline is beautiful and, taking in part of the famous Riviera di Levante, it is interspersed with stunning high class seaside resorts such Portofino, Rapallo and Camogli. Sandy beaches, enchanting bays and rocky caves, all with a backdrop of rich green trees, vivid flowers and pastel buildings make this province a popular holiday destination which is also blessed with a mild climate. 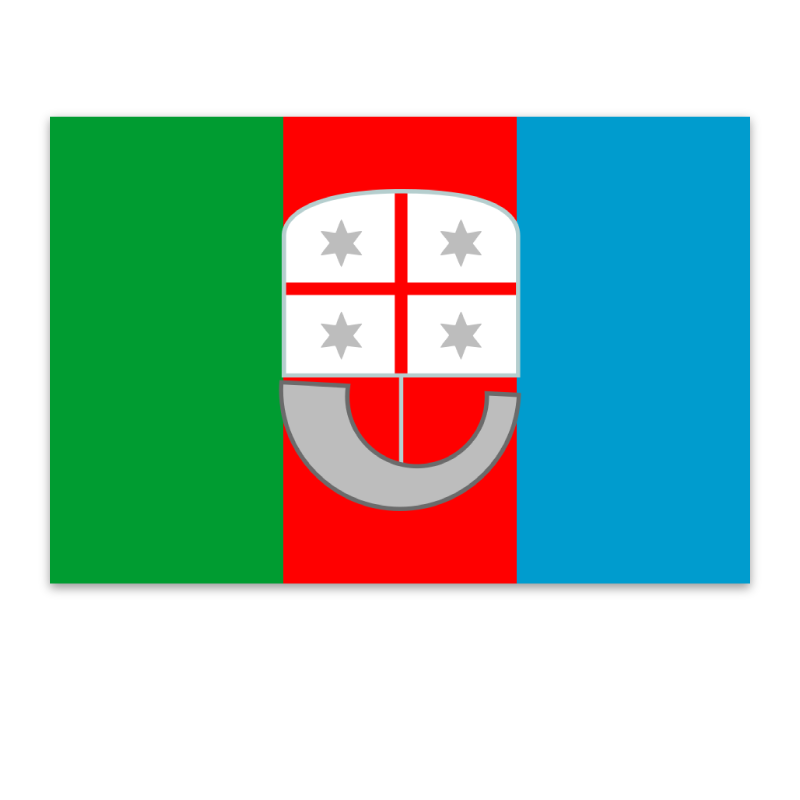 The province is famous for its pretty ports and sailing is a big activity here with the rich and famous arriving in their super yachts during the summer months. From the coast the land has dense vegetation and rises steadily until, after a short distance it reaches sheer cliffs which stretch up to the Alps and the Apennines. The whole landscape is vivid with trees, flowers, wild herbs, terraced olive groves and vineyards as well as colourful, picturesque villages dotted here and there. Pesto, made from basil, Parmesan cheese, garlic, olive oil, pine nuts and salt originates from this province and simply served with linguine or spaghetti it has become well known and loved world wide. 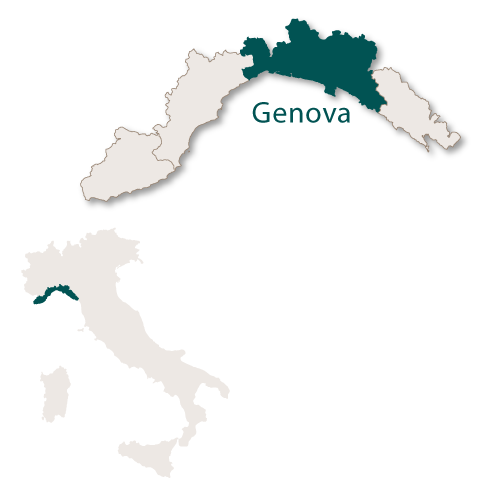 Genoa is one of the biggest Euopean cities on the shores of the Mediterranean sea and it is the largest seaport in Italy. It is a long, narrow, sprawling city covering an area of 243 sq.km and has 30 kilometres of coastline. 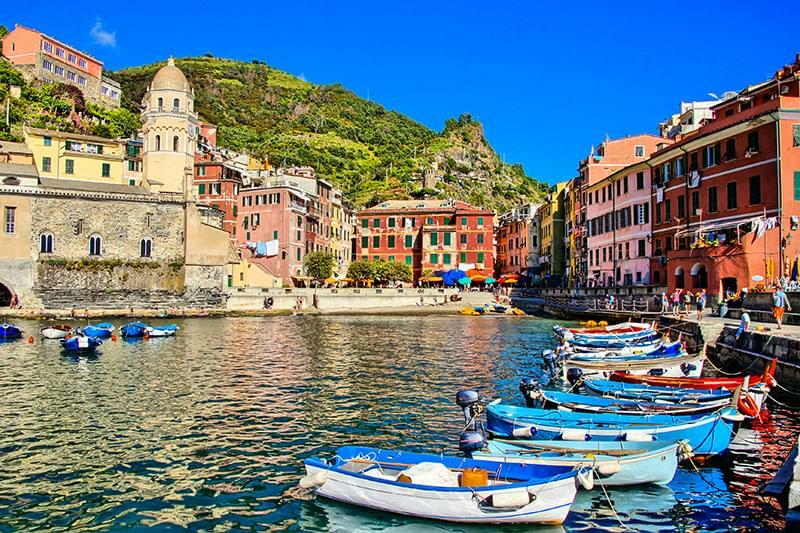 An ancient fishing village a few miles south of Genoa this is a picturesque resort with a black sand beach. It is peaceful and pretty with coloured houses spilling down towards the beach. In the centre there is the 12th century Church of Natività di Maria Santissima. 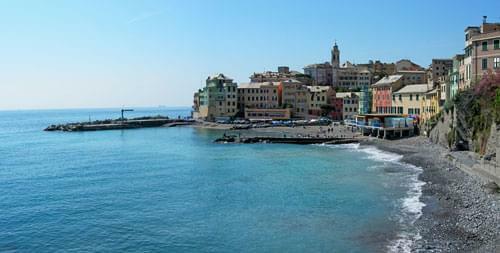 Once a busy seaport, Camogli is now a small fishing village and a pretty holiday resort. Not far from this small town you can find the Shrine of N.S. della Guardia which is a Roman Catholic place of pilgramage and an important Marian shrine. Sitting on top of Mount Figogna (804m) it was once an observation point for monitoring the movements of armies and ships as they approached Genoa. Part of the Italian Riviera this town is historically and architecturally intersesting as well as being an elegant seaside resort. 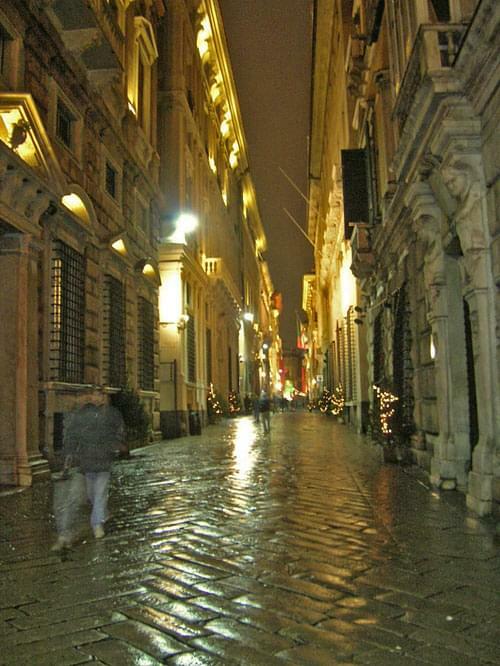 The town is packed with pastel coloured buildings, fashionable shops, interesting narrow streets, wide piazzas, lively bars and stylish restaurants. Famous for supposedly being the birthplace of Christopher Columbus. A tourist port and part of the Italian Riviera this town has a long, straight, sandy beach which is packed during the summer months. It is famous for the its porcelain tiles which are black and white and can be used for floors or walls. It has two 17th century Basilicas, the Basilica of Santo Stefano and the Basilica of Santa Giulia. 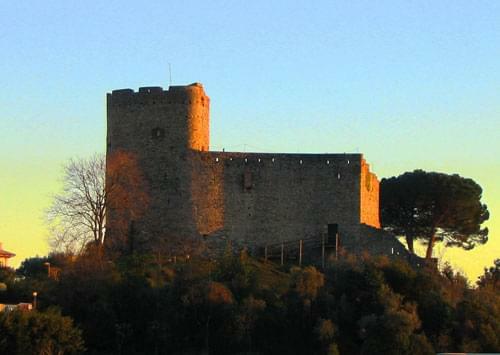 There is also the 13th century Sanctuary of Nostra Signora del Ponte and the Torre del Borgo which is a medieval tower now home to an art gallery. Another pretty tourist resort on the Italian Riviera. 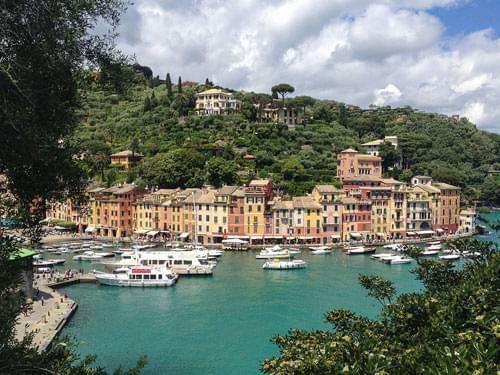 Portofino, a small fishing village located on the Italian Riviera south east of Genoa, is one of the favourite destinations of the rich and famous. It's tiny, picturesque, natural harbour is packed with superyachts during the summer months, and its attractive harbour-side restaurants, cafes and bars are full of celebrities and the inevitable paparazzi. The prices charged are not for the faint-hearted and the top Designer Label boutiques jossle for position among the other quaint, harbourside buildings. This small port is used for fishing and tourist craft. It has a 16th century castle and the 17th century Basilica of St. Margaret of Antiochia. Just outside the town, towards Portofino is an interesting historical abbey called Abbazia della Cervara. One of the interesting inland villages of the region it is one of five in the Aveto Natural Regional Park. It has the remains of a 13th centuyr castle and a sanctuary. 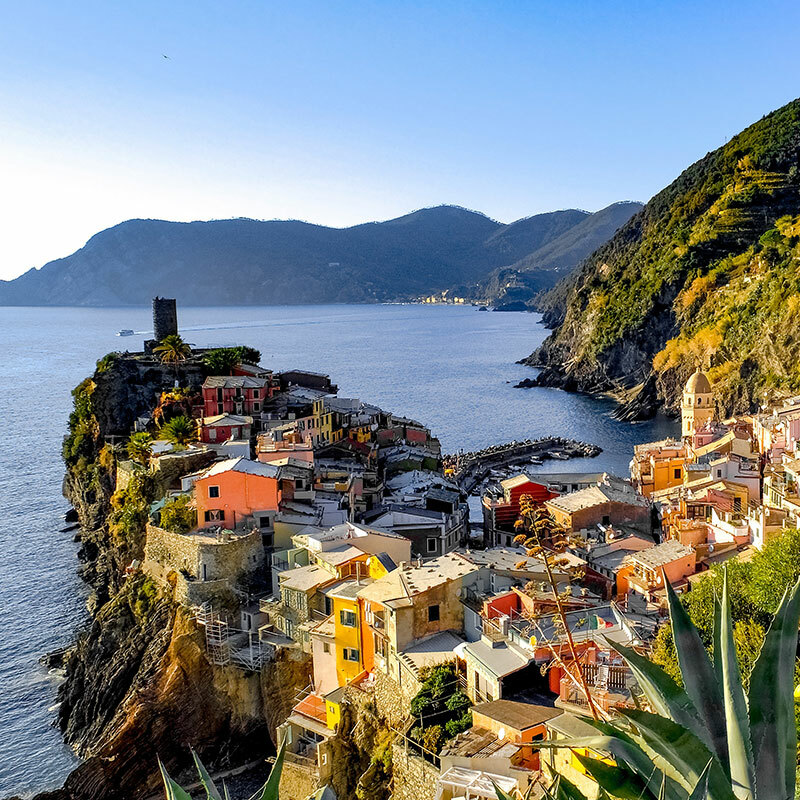 Halfway between Genoa and La Spezia this pretty town has two famous bays, Baia delle Favole (Bay of Fables) and Baia del Silenzio (Bay of Silence).